A t this time of year the Zhengzhou branch of WH Smith is awash with greeting cards dedicated to and celebrating the life of Lei Feng. This retailing frenzy culminates on March 5th, celebrated as “Learn from Lei Feng Day”, when card recipients are urged to live their lives like Mr Feng. Who hell he? I hear you ask. And what’s he doing on our website? Born of poor peasants in Hunan Province, in 1940, Lei Feng was brought up by the Communist party after his father was killed by the Japanese and his mother killed by herself. He then went on to join the People’s Liberation Army, became a squad leader and a super-diligent member of the party. His study of the works of Chairman Mao taught him to live a life of extreme obedience, frugality, selflessness and devotion of his body and soul to the revolution – wanting nothing more than to be “a revolutionary screw that never rusts”. He is a cultural icon, a beacon of altruism and a concentrated expression of communist ideals. All of which came to an end at the tender age of 22 years when he was killed by a telegraph pole. Yes, China’s courageous guiding light, their moral exemplum, their Prince Edward, was squashed as his friend Qiao Anshan backed a truck into a telegraph pole which fell on to the poor chap’s head. 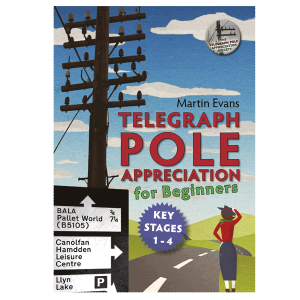 Learn from Lei Feng – Beware, the lethal combination of reversing trucks, telegraph poles and feelings of impending fate. Telegraph poles can kill! Be careful out there.